Since the Malaysian Ecologist and Architect Ken Yeang introduced the concept in the early 1990’s, planted rooftops and living walls have become increasingly common sights in both residential and commercial buildings. However, in addition to make them look more appealing, people and the interior designers are keen on opting such concepts. While the survey says that the planted exteriors also help cut energy costs and in the case of rooftop farms they even provide urban dwellers with homegrown produce. 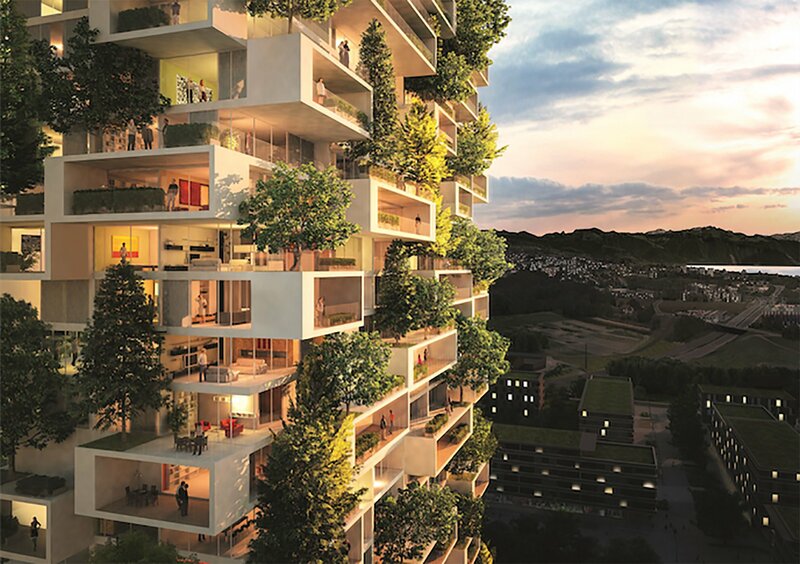 Now, Stefano Boeri announced plans to start for China's first vertical forest. This initiation was started to make China pollution free and adapt green architecture while taking it to the next level with "Forest Cities" to combat China’s air pollution woes. 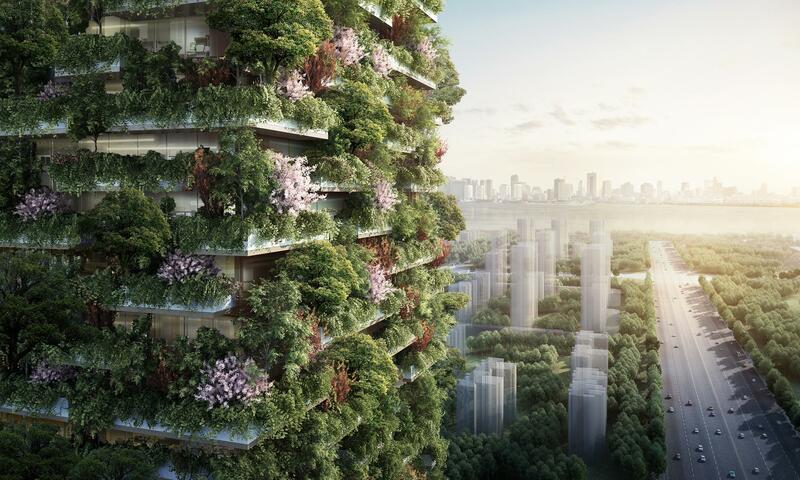 The Italian architect unveiled even more ambitious vision about "Coloring China Green"; here are some of his ideas - Forest Cities, Scaling up from his tree-clad BoscoVerticale skyscraper, Stefano shaped a blueprint for new cities in China that will be blanketed in greenery to fight air pollution which is very high in China and Beijing. While the first implementation of nature filled city will start in the city of Liuzhou, with construction expected to begin later this year. Stefano Boeri's foray into metropolitan reforestation began in the year 2014, with two towers in central Milan; both the towers measuring 360feet and 249 feet in height and they host 900 trees measuring up to 30 feet each and over 20,000 shrubs and pre-cultivated plants specifically for the purpose. While the foliage is irrigated by rain as well as the building’s gray water recycling system. The ‘Bosco Verticals’ or ‘Vertical Forests’ that are equal to a flat area which is about 2 acres, the main aim is to provide year-round energy savings and improve the air quality by releasing good moisture and converting carbon dioxide into oxygen. 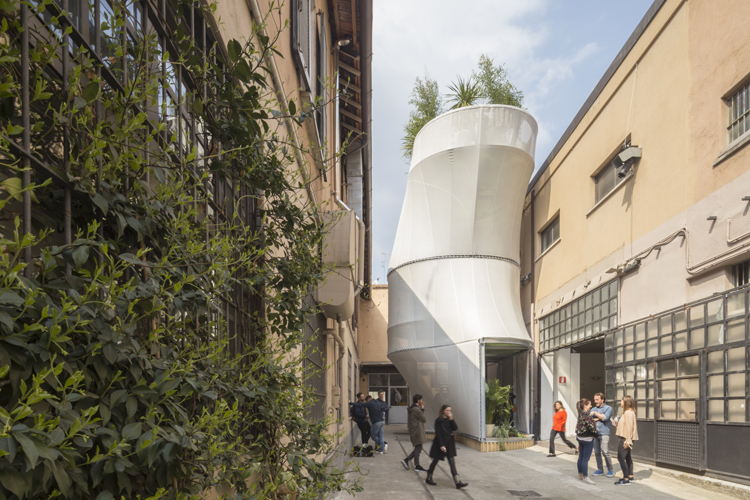 However; the vegetal system also acts as a windscreen that captures dust particles away from the air, and blocks noise from the bustling Milan streets, making the surroundings much healthier and giving all good living environment. Boeri’s first project in China was Forest Mountain Hotel in Guizhou that is scheduled to start this fall. The 231,424 square-foot structure’s design was inspired by the hill flattened to make room for the luxurious 250-room hotel. Also in the works are two skyscrapers in the city of Nanjing. Alike to the Milan skyscrapers, the656 foot tall office building and 354 foot tall hotel will host 23 species of trees and over 2,500 shrubs and plants were added. Boeri estimates that these plants will absorb 25 tons of carbon dioxide from the atmosphere annually, and produce as much as 60 kg of oxygen every day. While the architectural design team is currently planning for a wooded settlement in Liuzhou, which will be a medium-sized city home that will help about 1.5 million residents to occupy. All the buildings will have gray water recycling systems and powered by solar or wind energy.